Interactive whiteboards or IWB is known to be a technological evolution of workplace staple and the old classroom. They are not anything that’s new to the class, but they are also valuable for your business. From meetings to presentations, these boards are quite beneficial and have come as a vanguard of modern business. How can your business benefit from interactive boards? Having an interactive whiteboard at your workplace can make a difference. It will turn out being quite beneficial and it will even work towards enhancing the workflow. With an easy-to-use virtual whiteboard online you can provide an opportunity to every participant to get engaged with the information in a meeting or in any presentation. One can easily go ahead and share files quickly. It can get accessed as quickly as you can send it, edit it and save all the necessary points on the interactive whiteboard itself. In real time, you can iterate it and go ahead and add or make changes to the topics as and how you get the feedbacks from your participant or colleagues. You can not only easily go ahead and share the files during a meeting, but you can also share the screen real quick with remote participants. At that same time, everyone is practically going through the very same information and this even ensures that every participant present is on the very same track. After the meeting ends, you could print, email and share every bit of the details which was shared. It will in turn help to elevate the level of communication as you can effortlessly share all the files with all the participants present during the meeting. 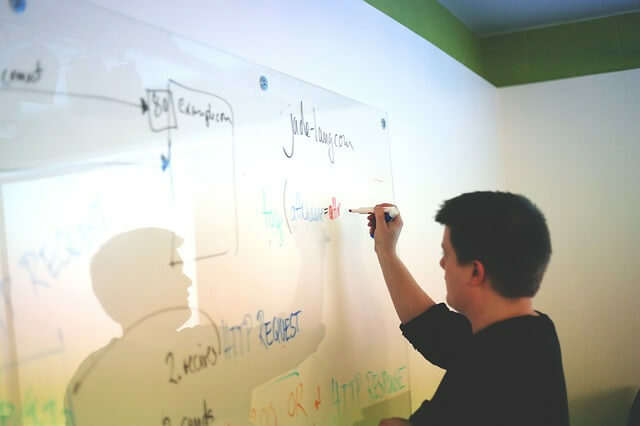 At the end of the presentation or meeting, everything that took place during the white boarding session can be shared and printed by the leader. Annotate does not mean simply scribbling with colorful markers, however here by it we mean to make useful and persistent changes to your documents. With an IWB one can easily annotate models and interact with their colleagues and clients. They can also hyperlink drawing sets, make use of videos, software and different sorts of applications to work towards improving their document workflow and enhanced level of communication. When you are utilizing the right hardware, you must get the feasibility to get your interactive whiteboard connected to your smart devices, like your Android or iOS devices, only through a single app. This way you will be able to share more date, files and enjoy a wide array of interconnectivity. The best part is that you will not need to jot down additional notes quickly as the slides are moving ahead. These boards are not only easy to use, but they are cost saving too. Going digital is a sure fire way to save money on your business, and with a solution like online interactive boards it becomes easier to manage your business in a better way.